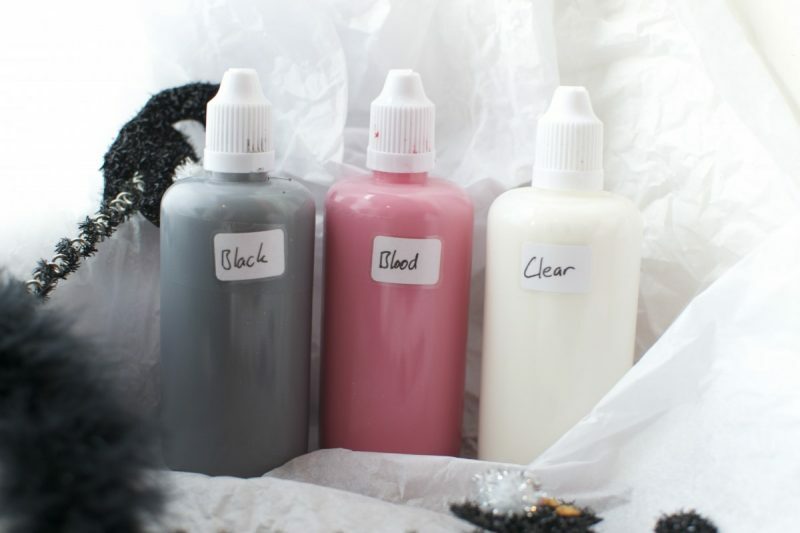 3 colours of our liquid latex SFX paints, perfect for creating your halloween look! 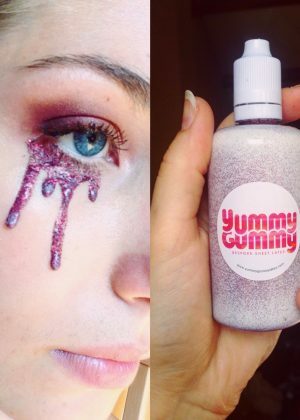 Liquid latex can be used to make face applications/decals that can be applied using eyelash glue. DO NOT USE IF YOU HAVE A LATEX ALLERGY! E.g. condoms. Patch test for 24-48 hours before using. Yummy Gummy Latex does not take any responsibility for any reactions that may occur. By putting the product on your skin you are accepting responsibility for any reaction that may occur. Do not store in sunlight. Preferably store somewhere cool and dark. Do not allow to freeze or exceed temperatures of 30°C. Keep mixed by shaking regularly if you have a glitter or sparkle latex. If nozzle gets blocked, poke out blockage with a pin. If glitter cannot be shaken up from the bottom, remove nozzle and insert a skewer and mix. Be careful when applying, as liquid latex will soak in to fabric and ruin clothes and carpet. If it does drip try not to rub in to fabric, either allow to dry and pick off or add an oil e.g. baby oil, this will break it down and remove it as much as possible. Colours and glitters will look different when dried. To sped the drying use a fan or hair drier. We would love to see the looks you create.